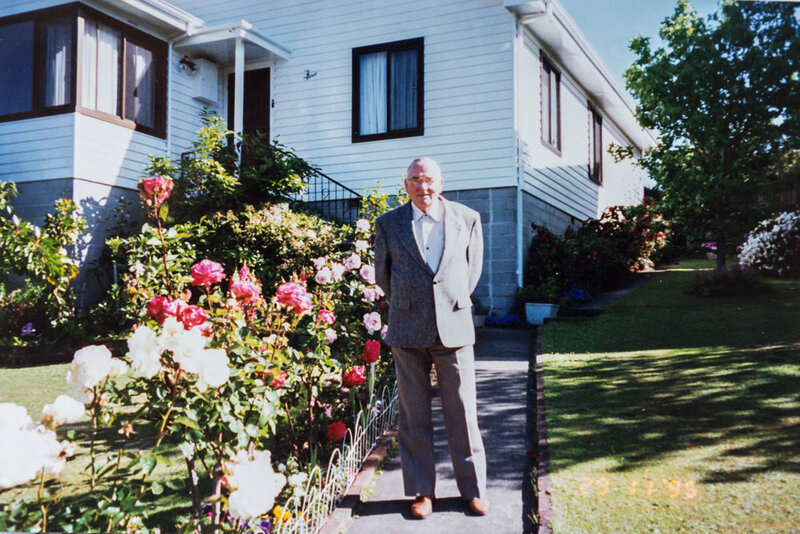 Ted developed a keen interest in gardening during the first few years at Tootonga St. The family moved into the house in 1958, and by the end of 1959 Ted (and his friends) had built a substantial garden, which would become a hallmark of the house. “I had to put some walls in because all we had was a path from the front of the property to the front steps of the house,” he said. “We needed other paths around the place, and a few walls in the back to hold the dirt in. All my friends from work came and gave me a hand to put in the paths and walls, so we got it done very quickly. “We had our own machine for mixing up the concrete, I did things I’d never done before. The garden is still the same now as it was back then." As well as build the garden, Ted took pride in painting the house from the day that he bought it; a task he quite enjoyed. “I used to love painting, I started when I was 17 when I went to sea,” he said. “I started painting the house almost right away, it was easy because I’d just spent the last eight years painting ships!